The Supreme Court in landmark judgment has upheld the role and constitutionality of CAG audit wherever there is revenue sharing agreement with Government. Justifying the audit of private telecoms by CAG, the court laid the foundation for its finding based on the principle that the State is the legal owner of “spectrum”, which is universally treated as a scarce finite and renewable natural resource . State acts as a trustee of the people and even though it is empowered to distribute ‘ spectrum’, the process of distribution must be guided by constitutional provisions, including the doctrine of equality and larger public good. 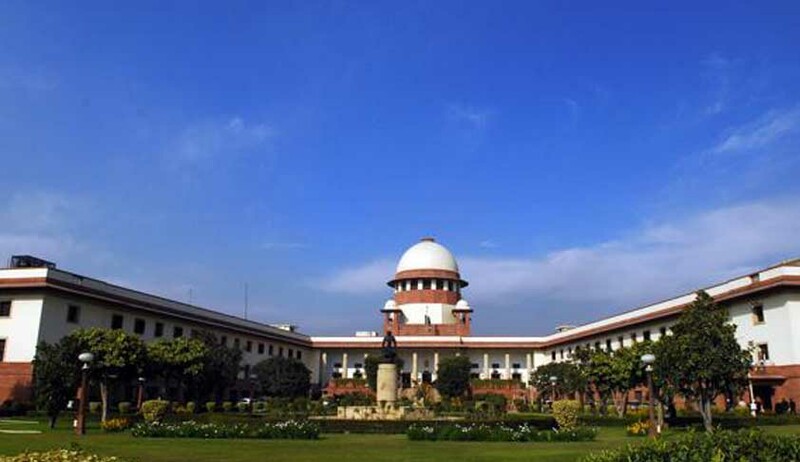 The Supreme Court Bench of Justices K S Radhakrishnan and Vikramjit Sen, allowed the appeals filed by the Union of India against TDSAT order which restricted the CAG Audit, and dismissed the Appeals filed by private telecom players against the order of Delhi High Court. The Judgment has high precedent value as it upheld the role and constitutionality of CAG audit and would enable the CAG to conduct audit in all Public Private Partnership projects. The dispute arose when Telecom Regulatory Authority of India (TRAI) issued a communication to private telecom companies to submit his books of account for audit by CAG. Service providers, aggrieved by the stand TRAI filed Civil Writ Petition 3673 of 2010 challenging the legality of the show cause notices before the Delhi High Court. The Division Bench of the Delhi High Court examined the legality of the communications in the light of Rule 5 of the TRAI Rules, 2002, Section 16 of the CAG Act, 1971 and Article 149 of the Constitution of India read with UAS licence conditions and took the view that the CAG has the powers to conduct the revenue audit of all accounts drawn by the licensees and expressed the view that the accounts of the licensee, in relation to the revenue receipts can be said to be the accounts of the Central Government and, thus, subject to a revenue audit, as per Section 16 of the CAG (Duties, Powers and Conditions) Act, 1971, and thus the writ petitions were came to be dismissed. The Private Telecoms challenged in the decision by way of Special Leave Petitions which were later converted as Civil Appeals ( No. 4591& 4592 of 2014, Association of Unified Tele Services Providers & Others vs. Union of India). The Private Telecoms, mainly contented that so far as the audit referred to under Article 149 of the Constitution is concerned, there must be an element of government control of finance and the same is completely lacking in the case of the service providers. They referred to the meaning and content of Article 266 of the Constitution and stated that the same deals with receipts which are payable into the Consolidated Fund of India and the receipts are only that of the Union and the States, as the case may be, and not the private telecom companies. The Union Government opposed the plea stating that the object of Article 149 of the Constitution and Act of 1971 is to provide for Parliamentary control of executive on public funds, consequently, ambit of audit by CAG has to cover all issues that are required to be examined by the Parliament. Dealing with organic character of the Constitution, it reads “Constitution, as it is often said “is a living organic thing and must be applied to meet the current needs and requirements”. Constitution, therefore, is not bound to be understood or accepted to the original understanding of the constitutional economics. Parliamentary Debates, referred to by service providers may not be the sole criteria to be adopted by a court while examining the meaning and content of Article 149, since its content and significance has to vary from age to age. Fundamental Rights enunciated in the Constitution itself, as held by this Court in People’s Union For Civil Liberties (PUCL) and another v. Union of India and another (2003) 4 SCC 399, have no fixed content, most of them are empty vessels into which each generation has to pour its content in the light of its experience”. In the Judgment, the Court also found that approach of Telecom Disputes Appellate Tribunal was faulty, which considered the limited issue of legal validity of the communications issued by issued by the Department of Telecommunications and by the Director General of Audit, Post and Telecommunications. Through the communications, it was directed to make available all the accounting records for three years commencing from 2006-2007 for the purpose of audit by the Comptroller of Auditor General of India (CAG). The Tribunal considered the issue parallel to the Writ Petitions challenging the vires of the impugned provisions were pending before the High Court, on the same issue. According to the Court the Tribunal, has committed a fundamental error in taking the view that CAG audit can follow only on “formation of opinion” by the DoT that the statements or accounts submitted to it were inaccurate or misleading. According to the Court, such an approach would deprive the statutory and constitutional powers conferred on the CAG to conduct the audit or enquiry or inspection. The Judgment will have a bearing on many cases where CAG audit is challenged by Private Companies engaged in Public Private Partnership projects.